UPDATE – PLEASE NOTE: Ooops, I made a huge BOO BOO. It turns out that the special broth from Yokohama is called “iekei” not “lekei or Le Kei”. My sincere apologies to Yah Yah Ya ramen. Still very good ramen and everybody should go try this place out! Yah Yah Ya? Hell Yeah! Yummy Le Kei broth Ramen. Weird, not in West End. There are general geographical food rules of thumb I follow and as a result I have enjoyed pretty good meals even when I go into a restaurant blind. For example, eat Vietnamese east of Main Street in Vancouver. Another one would be: Best Ramen found in Downtown Vancouver. There are exceptions to the rule but they are hard to find. Recently I discovered a fantastic exception to the ramen rule in Richmond called Yah Yah Ya. The name of this newly opened ramenya just brings a smile to my face. 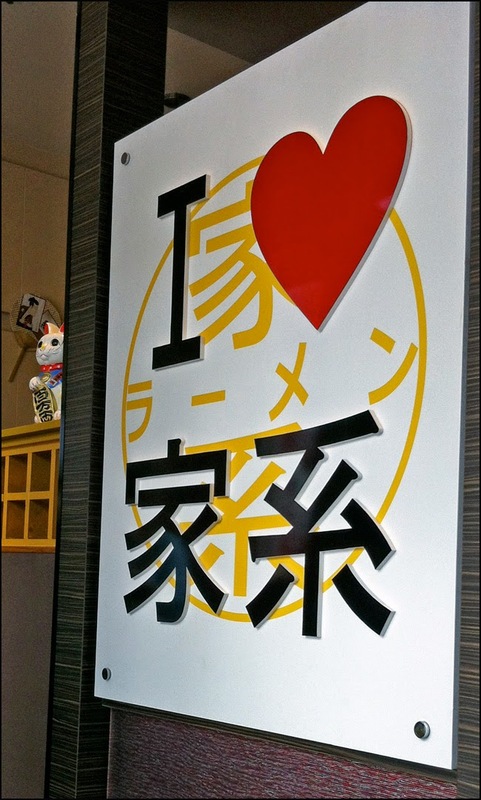 Even before they opened, I had heard the owners were trying to bring something new to market: Le Kei Broth. 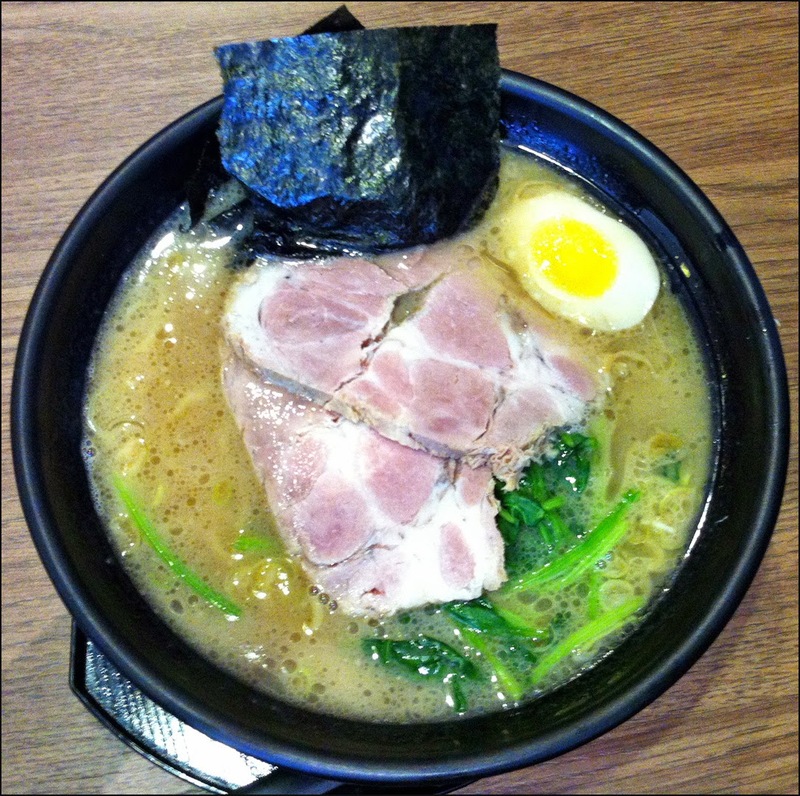 The broth and style of ramen originates from the city of Yokohama. The Le Kei broth is similar to a Tonkotsu broth but what makes it distinct is the inclusion of soy sauce and sometimes chicken bones during simmering process. In addition, the ramen featuring Le Kei broth also comes with chicken oil and is traditionally served with roasted nori and spinach. Keenly I headed off to Richmond to try this new Le Kei broth. Yah Yah Ya is located in Richmond’s many restaurant filled strip malls. 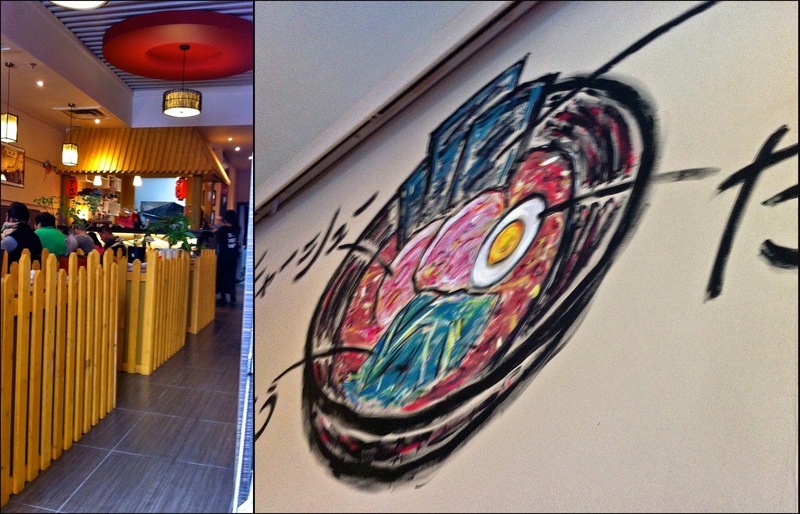 The space is small much like most ramenyas in the region and neatly decorated. Much like Kintaro, there are some customizable options such as desired texture of the noodle, richness of the broth and the amount of oil added to the ramen. I ordered their proclaimed number one ramen, Shoyu Ramen, which comes with nori, spinach, pork chasu and half an Ajitsuke Tamago. To make the ramen to my liking, I went with hard noodles, normal soup and the normal amount of oil. In addition, I ordered a plate of gyoza as well. First, the oil is noticeable taste wise at the beginning of your meal. It adds an initial layer of richness, which dissipates as the amount of oil diminishes as it coats each strand of al dente noodle you draw out of the bowl. The Le Kei broth was awesome. It has the depth and complexity of a long simmered broth but tastes light and sweet. It’s been a while since I’ve encountered a soup so delicious all I wanted was to drink every last drop. The pork chasu was fork tender but when consumed on its own I felt it was bland. However when it was combined with some Le Kei broth, the chasu perked up and had a stronger umami flavour. I also found the traditional spinach noteworthy as well. It wasn’t just a component utilized to add texture to the dish. Although the spinach did add crunch, it also lent its ferrous flavour to the soup as well. By the end of the meal, I could detect a spinach taste in the soup. The gyoza I ordered was solidly executed. Based on the ridging, they appeared to be handmade. The skins had a slight chew and the filling had a pleasant flavour highlighted by a strong ginger taste. 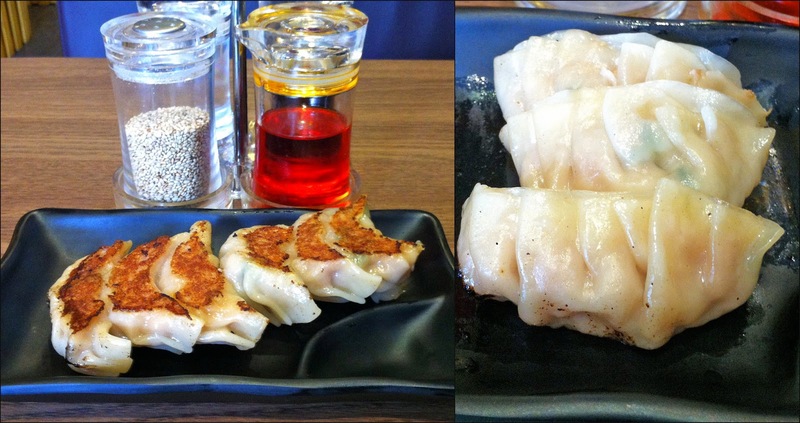 I also liked that you get to mix your own dipping sauce for these pan fried dumplings. The staff brings out white vinegar, sesame seeds, soy and chilli oil for you to use. Overall I really enjoyed my meal at Yah Yah Ya. I felt the shoyu ramen was fantastic. I felt the different components of the dish really supported and complimented one another, yielding a complex and tasty ramen. For me it’s worth trekking out to Richmond to have a bowl of ramen steeped in Le Kei broth.